It is well past midnight and her husband hadn’t returned home from work – no calls, no messages even. The anxious wife picks up the address book and dials his close friends and colleagues… and every single friend/colleague gave her some form of this reply: Oh yeah, don’t worry. He was with me just a while ago. We talked, had a few drinks and he ju….st left me.” I’m sure most of us have laughed this anecdote off as yet another mirthful take on how boys will be boys and girls.... I did too. And yet, when I tried to switch the genders spoken of here, it just didn’t add up – at least not in a funny way. …well girls won’t be fun after all! Why this anecdote doesn’t work with genders switched. And why do most of the TV soaps show women mired in conflict… ultimately with other women. Why do we have expressions such as “Can’t miss a catfight for anything in the world”, or “aurat hi aurat ki sabse badi (fill in the blanks)…”. Even these expressions won’t work when genders are switched. What is with our movies – both Holly- and Bolly-wood, that one hardly comes across a script that passes the Bechdel test? And what about literature? No use extolling the merits of our classical literature there; even Tolstoy barely makes it. All the above are just many ways to arrive at the same truth: Men have a brotherhood, which doesn’t have a counterpart in the female side of the world. Being a man, I so wish it did. ‘Our’ brotherhood is seen as our safety net; and while the anecdote I started with brings out its notoriety, I take the liberty to say that it is a place where we men, generally speaking, visit to feel ourselves validated through the qualities that are common to us on account of our gender. It is a place where we have got each other’s back; we connect on the basis of empathy, a certain duty to ‘help a fellow out’ no matter how he dresses, no matter how much I dislike him personally or disrespect him professionally, no matter how little I know him even. I am not being smug when I point this out. For what it’s worth, Sheryl Sandberg, the author of ‘Lean in’ and the COO of Facebook, would agree. I daresay so would Marissa Mayer, the CEO of Yahoo! since she too finds more than a favourable mention in Sandberg’s book (which also happens to be prefaced by our own Naina Lal Kidwai). In short, I will allow the man in me say, ‘I wish you have what we have’. 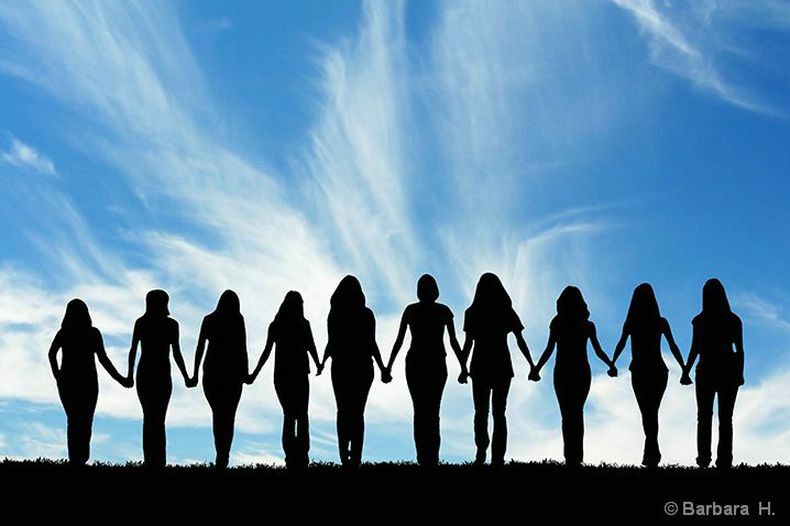 I will allow the human being, the person in me say, ‘I wish I am a part of this sisterhood’. For, as much as these two concepts are divided by gender, it is amply clear that the lines are divided not through physiology but essentially through qualities they have influenced, fostered, rather psychologically as a lot of research has proved. Asgender roles are changing, we see these qualities changing too. A sisterhood can only speed up the process of blurring the gender lines… until the two worlds merge into a more equitable, humane whole. A brotherhood, while it promises solidarity, support, and help without being judgmental, it may have contributed equally to a ‘dog eats dog world’, the ‘old boy network’, even patriarchy to some extent. A sisterhood would work as an effective barricade against these ills, while helping more women explore their own identities. 1) Question the rules: From stereotypes to cultural practices to traditions to even fashion fads, let nothing remain unquestioned. The present world has a lot to answer for, especially in how it treats women, the significant other. Be aware of issues, only then can we change them. 2) Spirit of SHEROES: Extend your power, influence, empathy, resources to women who need them. Go that extra mile in supporting their aspirations, no matter how different they may be from what is expected of them. 3) Cut out the noise: Watch the language of ideas running through your own head. Check for traces of patriarchy, gender bias, plain and simple negativity, and work on casting them out. Certainly don’t let others impose such thoughts, ideas, language, or actions on you, no matter how important those people are to you.